Linux doesn’t have any kind of PR, and in the collective mind of the people, there is still an impression that Linux users spend their time inside the terminal and in dreary desktops. In fact, most of the current Linux desktops are much better than anything made by Apple of Microsoft. Lennart Poettering of systemd and PulseAudio fame has published a lengthy blog post that shares his vision for how he wishes to change how Linux software systems are put together to address a wide variety of issues. The Btrfs file-system and systemd play big roles with his new vision. Of course, we are developers of the systemd project. Implementing this scheme is not just a job for the systemd developers. This is a reinvention how distributions work, and hence needs great support from the distributions. We really hope we can trigger some interest by publishing this proposal now, to get the distributions on board. This after all is explicitly not supposed to be a solution for one specific project and one specific vendor product, we care about making this open, and solving it for the generic case, without cutting corners. Is Word better than LibreOffice Writer or is LibreOffice Writer better than Word? Is Android better than Apple? Were Nirvana better than Pearl Jam? Which were better “The Beatles” or “The Rolling Stones”? Microsoft Word has a lot of flaws that people seem to gloss over. Bullets and numbering for instance are just random. The fonts change, the numbering changes, the indentation changes and for no apparent reason. The Microsoft ribbon bars have surely just been added to sell training courses because there is no way they are better than menus, toolbars and keyboard shortcuts. Everything we have been used to for 20 years all switched around for no seemingly good reason. I don’t like it when my local supermarket rearranges all the shelves for no apparent reason either. If you want a ribbon bar then there is always Kingsoft Office. Relational database management systems (RDBMSs) aren’t the sort of thing to get most folk out of bed in the morning – unless, of course, you happen to think they’re one of the most brilliant concepts ever dreamed up. These days you can’t sneeze without someone turning it into a table value in a database somewhere – and in combination with the freely available Linux operating system, there’s no end to them. Most Linux distros make it almost trivial to add popular DBMSs to your system, such as MySQL and MariaDB, by bundling them in for free in their online app stores. But how do you tell which combination – which Linux distro and which DBMS – will give you the best performance? This week we’ve revved up the Labs servers to ask the question: what level of performance do you get from OS repository-sourced DBMSs? argument, and hope that things are just going that well. Linus Torvalds is back to his rhythm of releasing new kernel release candidates on Sundays. After Linux 3.17-rc2 was released last Monday to celebrate 23 years of Linux, Torvalds is now back in Portland and doing his Sunday release rhythm. Mesa 10.3 release candidate 2 is now available for testing. The current plan of record is to have an additional release candidate each Friday until the 10.3 release on Friday, September 12th. The tag in the GIT repository for Mesa 10.3-rc2 is ‘mesa-10.3-rc2′. I have verified that the tag is in the correct place in the tree. The Nouveau development community released the xf86-video-nouveau 1.0.11 driver update to kick off the start of September. While you wouldn’t guess it from the version number, this driver update is actually very significant and introduces a lot of new functionality and other improvements. Since last year AMD’s had the FX-9590 as the top-end Vishera CPU that can top out at 5.0GHz with its Turbo Frequency, but initially this processor was only available to OEM system builds. Over time the OEM version of the FX-9590 became available to consumers while earlier this summer AMD launched a retail version of the FX-9590 that included the eight-core CPU with a closed-loop water cooling solution. Today we’re reviewing this highest-end Vishera CPU to see how it compares to other AMD and Intel processors on Ubuntu Linux. XBMC, which renamed itself to Kodi, is out with a new alpha release for the Kodi 14 media center software. While XBMC 13 introduced a lot of new features, Kodi 14 is going to be mostly about minor refinements. DVDStyler 2.8 RC3, a cross-platform, free DVD authoring application that allows video enthusiasts to create professional-looking DVDs, is now ready for download and testing. Fotoxx 14.09, a free, open source Linux photo editing and collection management program that’s easy to use and install, is now available for download. The Opera developers have released a new version of their Internet browser in the 25.x branch, and they have implemented a default PDF viewer. Find HorizSync VertRefresh rates to fix Linux display issue – Why my display is stuck at 640×480? The problem is “Linux” has only been mentioned once that we can see, and that’s on their Steam coming soon button. It’s not mentioned in any other announcement or their FAQ, but this is still on their official site. Metro 2033 Redux is confirmed for Linux, but the actual release date isn’t certain yet. Luckily thanks as usual to the excellent SteamDB it looks like it’s coming sooner rather than later. The official announcement of the Redux versions did note the Linux builds would come at a later date, but it may not be too far. Quick update for Ambiance & Radiance Colors fans: the theme pack was updated (version 14.04.6) today with quite a few Xfce fixes such as: fixed window borders on non-Debian distros, fixed Xfce GTK3 indicator background and more. I’m doing a little work on Tupi – the 2D animation application that joined the KDE community some months back — so that it builds on FreeBSD (the C++ code is wonderful, but the build system is qonf, which is not). This has led me to the maze of git documentation on KDE’s infrastructure, and I’m taking notes so I don’t forget what I did. It’s also part of one of the things-to-do-at-Akademy on my list: talk to the techbase people to find out what the status and intentions are. Desktops on Linux. They’re a concept completely alien to users of other operating systems because they never having to think about them. Desktops must feel like the abstract idea of time to the Amondawa tribe, a thought that doesn’t have any use until you’re in a different environment. But here it is – on Linux you don’t have to use the graphical environment lurking beneath your mouse cursor. You can change it for something completely different. If you don’t like windows, switch to xmonad. If you like full-screen apps, try Gnome. And if you’re after the most powerful and configurable point-and-click desktop, there’s KDE. GNOME is working to implement official Wayland support for the upcoming 3.14 release and they seem to be more than half way there. It’s difficult to test the new GNOME 3.14 Beta updates that have been made until now, especially with the Wayland integration, but a Reddit user posted a short and easy-to-follow tutorial in this regard. Today we are pleased to release the next in the 5 series of Black Lab Linux. Black Lab Linux 5.1 contains many updates, new features and enhancements to the Black Lab Linux distribution. Brian Stevens joined the company 13 years ago and did not give a reason for leaving the job. Debconf14 started with a Meet and Greet before the Welcome Talk. I got to meet people and find out what they do for Debian. I also got to meet other GSoC students that I had only previously interacted with online. During the Meet and Greet I also met one of my mentors for GSoC, Zack. Later in the conference I met another of my mentors, Piotr. Previously I only interacted with Zack and Piotr online. Yesterday I wrote about Ubuntu 14.10 not yet having X.Org Server 1.16 even though the first beta was issued this week and there’s been a testing package repository for more than one month. This lack of X.Org Server 1.16 thus far is apparently due to AMD with not yet having a supportive Catalyst driver. Ultimate Linux Mint 1.4, a Linux distribution based on Linux Mint 17 Qiana Cinnamon Edition 64-bit, has been released and is available for download. I find the attitude of many within the Raspberry Pi community to be strange and offensive. I first discovered this odd phenomenon (odd because it contradicts the ethos of the project’s academic foundations) back when it first started, as many within the Raspberry Pi community took an extremely hostile attitude toward academic freedom, apparently in defence of various parties’ highly dubious intellectual monopolies (Broadcom and MPEG-LA, for example). I pointed out the irony and hypocrisy of their attitude at the time, explaining that they were more than happy to leech Free (as in freedom) Software for their own benefit, but then balked at the prospect of freely sharing the results, and in particular this contradicted their stated academic goal of facilitating better computer education in UK schools, an environment that rightly demands open access to knowledge. At my house we have a second generation Nexus 7. I don’t use it at all, but my roommate depends on it. Again, it’s a beautiful OS, stable and easy to use, but it’s all about selling things. In fact, you can’t even enter the app store without going through a screen that nags you to make a deposit in case you find an app you want to buy — and a way of saying “no thanks, I’m just looking for free apps” isn’t as obvious as it should be. Like the Internet, Android is primarily a marketing tool designed by Google, which is primarily a marketing company. Emil Velikov, the new Mesa release manager, just landed a large set of libdrm patches for improving the open-source graphics drivers for Android. Open source is not just for Linux. Yes, you’ll certainly find a much larger selection of open-source software for the Linux platform, but both Windows and Apple also enjoy a good number of titles. Regardless of what Free Open Source Software (FOSS) you need to use, you might not always find it the most natural evolution — especially when you’ve spent the whole of your career using proprietary software. The thing is, a lot of open-source software has matured to the point where it rivals (and sometimes bests) its proprietary counterpart. Of course, I’m not just aiming this blogpost at EMC, I’d also like to see IBM take this approach with GPFS. The open-source products are beginning to be good enough for many, certainly outside of some core performance requirements. Ceph, for example, is really beginning to pick up some momentum, especially now that RedHat has bought Inktank. The developers have explained that the user switching feature has been redesigned and it will make changing profiles and into the incognito mode a lot simple. They have also added a new experimental Guest mode, a new experimental UI for Chrome supervised users has been implemented, and numerous under-the-hood changes have been made for stability and performance. Intex and Spice launched the first Firefox OS phones in India using a low-cost Spreadtrum design: the $33 Intex Cloud FX and the $38 Spice Fire One Mi-FX 1. It’s been a little over a month since the previous Firefox stable release and the developers have now pushed a new major update to users. This latest iteration of Firefox brings just a few major features for regular users, but it excels in other areas like better HTML 5 support. Users of the Mozilla Developer Network and Bugzilla testing system are advised to update their passwords after a pair of data disclosures were reported in August. The open source software allows users to store, manage and deploy data analytics on a cloud-based service. PhpMyAdmin, the popular tool written in PHP and intended to handle the administration of MySQL databases, is now at version 4.2.8. On my way to the LiboCon 2014! There are many, many interesting talks this year, and I cannot resist to remind you of the two talks I’ll be giving, even though Italo and I will also be on the deck for a few talks about LibreOffice marketing especially on Wednesday. PfSense is a free network firewall distribution based on the FreeBSD, it comes with a custom kernel, and a few quite powerful applications that should make its users’ life a lot easier. Most of the firewall distros are Linux-based, but PfSense is a little bit different and is using FreeBSD. Regular users won’t feel anything out of the ordinary, but it’s an interesting choice for the base. Each OK Lab is a source of a great variety of projects, tackling different social issues and topics. For example, the OK Lab in Hamburg has a strong focus on urban development, and has created a map which shows the distribution of playgrounds in the city. An app from the OK Lab Heilbronn depicts the quality of tap water by region, and another from the OK Lab Cologne helps users find the closest defibrillator in their area. One more of our favorite developments is called “Kleiner Spatz”, which translates to “Little Sparrow,” and helps parents to find free child care in their city. Machine Translation tool for public administrations — now accessible over the Internet! MT@EC has been developed under the ISA programme, which supports interoperable solutions for public administrations. Since 1973, the National Football League has prevented local TV stations from broadcasting games when tickets aren’t sold out—and Federal Communications Commission rules enable this decidedly fan-unfriendly policy. The rules are finally close to being overturned, and if they are you can thank David Goodfriend. Founder of the Sports Fans Coalition, Goodfriend is an attorney and lobbyist with years of experience in government and private industry. He was a Clinton Administration official, a Congressional staffer, legal advisor at the FCC, and executive at Dish Network. 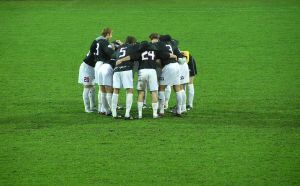 The Sports Fans Coalition teamed with four consumer advocacy organizations in 2011 to petition the FCC to stop supporting the NFL’s blackout regime. Conservationists will fall silent at noon today to mark the hundredth anniversary of the death of Martha, the last ever passenger pigeon – just as a new project is set up to bring the species back from the dead. Ecuador’s pro-US neoliberal president Lucio Gutierrez was ousted in 2005. Since then, relations between Ecuador and the United States have deteriorated, with the Andean nation’s increasing rejection of US hegemony. Diplomatic cables published by WikiLeaks show how hard the US fought to control Ecuador’s future post-Gutierrez. They show a key element of US efforts to control Ecuador’s political and economic direction in the post-Gutierrez years was the US Embassy’s “democracy promotion” activity. So-called “democracy promotion” came to prominence as a method for maintaining US hegemony in the 1980s. We had the first proof of this strategy with the decryp­ted mil­it­ary film “Col­lat­eral Murder”, where heli­copter pilots shot up some Reu­ters journ­al­ists and civil­ians in Iraq in 2007. That was bad enough — but the cover-up stank. For years the Pentagon denied all know­ledge of this atro­cious war crime, and it was only after Wikileaks released the inform­a­tion, provided by the brave whis­tleblower Chelsea Man­ning, that the fam­il­ies and the inter­na­tional com­munity learned the truth. Yet it is Man­ning, not the war crim­in­als, who is serving a 35 year sen­tence in a US prison. Worse, by sheer scale at least, are the ongo­ing, wide-ranging unmanned drone attacks across the Middle East and Cent­ral Asia, as cata­logued by the Bur­eau of Invest­ig­at­ive Journ­al­ism in the UK. Many thou­sands of inno­cents have been murdered in these attacks, with the US jus­ti­fy­ing the strikes as killing “mil­it­ants” — ie any male over the age of 14. The US is mur­der­ing chil­dren, fam­il­ies, wed­ding parties and vil­lage coun­cils with impunity. IN THE last 10 years armed unmanned aerial vehicles — drones — have been operated to kill individuals in at least seven countries, including Afghanistan, Iraq, Libya, Palestine, Pakistan, Somalia and Yemen. Their use is changing the way war is conventionally waged. Heavy fighting between Syrian army forces and rebels erupted on the Golan Heights on Monday, a Reuters photographer said, but it was unclear if either of the two sides had gained an advantage to control a key frontier crossing. Rebels of al Qaeda-linked Nusra Front have been battling the Syrian army in the area and have wrested control of the crossing at Quneitra, which is operated by the United Nations. Persistent small arms fire and explosions from mortar shells and other munitions could be heard on the Israeli-controlled side of the frontier of the strategic plateau, the photographer reported. At least one tank belonging to the Syrian army loyal to President Bashar al-Assad was also involved and rebels could be seen a few meters (yards) away from the frontier fence. On Sunday, Israel’s military said it shot down a drone that flew from Syria into Israeli-controlled airspace over the Golan. After four decades, UN supervision on the Syrian border is about to end and Assad’s military is being replaced by more hostile forces. Recent months have witnessed worrying developments in the realm of news media in Yemen. On June 11, the Yemen Today TV Channel was shut down by Presidential Guards on President Hadi’s order following the channel’s coverage of the demonstrations and riots in Sana’a that same day. China today reacted guardedly to Prime Minister Narendra Modi’s remarks of “expansionist” tendency among some countries, saying it is not clear what was he referring to and recalled his earlier comments that India and China are strategic partners. “We have noted relevant information about Prime Minister Modi’s visit to Japan. You just mentioned comments made by him I don’t know what is he referring to,” Chinese Foreign Ministry spokesman Qin Gang told a media briefing here when asked about Modi’s remarks made during his ongoing visit to Japan. The Royal Danish Navy arrested 14 volunteers from the Sea Shepherd Conservation Society on Saturday for trying to intervene in the slaughter of 33 pilot whales in the Faroe Islands, a protectorate of Denmark. A team of six Sea Shepherd volunteers spotted a pod of pilot whales from shore on Sandoy Island in the remote North Atlantic archipelago on Saturday and alerted Sea Shepherd’s small flotilla of boats, which has been patrolling the icy waters for nearly three months. Sea Shepherd has been trying to stop the annual Faroese whale hunt known as grindadráp, or grind. A total of 14 volunteer crew members of Sea Shepherd Conservation Society’s pilot whale defence campaign Operation GrindStop 2014 arrested on Saturday in the Faroe Islands today have been released. As of Sunday morning, all 14 Sea Shepherd crew have been released. The six volunteers from the land team must return to court tomorrow, Monday, September 1. The eight members of the boat team have been told to return to court on September 25. Postponing the court date until that time allows the police to hold the three Sea Shepherd boats until the end of September, as they are being held for “evidence.” All video and still camera data cards were removed by police and are still being held. Sea Shepherd attorneys are working to have them returned as well. Despite claims that Wisconsin Governor Scott Walker is not a “target” in the state’s criminal campaign finance probe, newly-released documents demonstrate that prosecutors are indeed looking at potentially criminal activity by the first-term governor and 2016 presidential hopeful. The latest round of documents released in Wisconsin’s “John Doe” investigation shine new light on the stalled inquiry into alleged illegal coordination between Walker’s campaign and outside political groups like Wisconsin Club for Growth (WiCFG) during the 2011-2012 recall elections. Documents publicized by whistleblower Edward Snowden show that false US intelligence provided to the Turkish government resulted in the 2011 massacre of nearly three dozens of Kurdish villagers on a mountain in eastern Turkey. In a cold and snowy December night in 2011, 34 civilian cigarette smugglers were killed in an aerial strike launched Turkey under the false belief that the men on Mount Cudi were fighters affiliated with the Kurdistan Workers Party (PKK), a group designated as a terrorist group. Turkey’s foreign ministry Monday summoned the U.S. charge d’affaires, currently Washington’s most senior diplomat in Ankara, over a media report that the United States had spied on Turkey, Deputy Prime Minister Bulent Arinc said. German magazine Der Spiegel said in an article on its website Sunday that the U.S. National Security Agency and Britain’s GCHQ eavesdropping agency had carried out “wide-scale spying against Turkey,” citing documents from the archive of former NSA contractor Edward Snowden. “For the reasons that the United States’ name was mentioned, and such claims were made … the charge d’affaires has been called to the foreign ministry and information has been received from him,” Deputy Prime Minister Bülent Arınç told reporters Sept. 1, referring to Washington’s most senior diplomat in Ankara. The attorney general, George Brandis, has denied referring lawyer Bernard Collaery and a former intelligence officer to the Australian federal police after they revealed that Australia spied on Timor-Leste during negotiations over a lucrative oil and gas pipeline. Cheryl Chumley’s warning follows confirmation that the National Security Administration accessed hundreds of billions of records of emails, telephone calls and online chats. “This latest revelation shows that Americans who use social media at all should just assume their posts and communications are being monitored by Big Government,” she said. Protester Mitch Anthony told We Are Change UK: “This is a dirty protest against the government taking the piss. So now we’re giving the piss back”. A new federal government proposal would have your car report your location, direction and speed at all times to Big Brother. Nate Cardozo is an attorney with the Electronic Frontier Foundation. John Crawford III died Aug. 5 after police were called to Walmart in Beavercreek, near Dayton, by another shopper who reported a man carrying what appeared to be an AR-15 rifle. British authorities have been accused of funding a four-year intelligence operation in Nepal that led to Maoist rebels being arrested, tortured and killed during the country’s civil war. Thomas Bell, the author of a new book on the conflict, says MI6 funded safe houses and provided training in surveillance and counter-insurgency tactics to Nepal’s army and spy agency, the National Investigation Department (NID) under “Operation Mustang”, launched in 2002. This undated photo shows a memorial or “ghost bike” near where Milton Olin was struck and killed by an L.A. County Sheriff’s patrol car on Dec. 8, 2013 while riding his bicycle on Mulholland Highway in Calabasas, Calif.
As I mentioned in my previous update, the TTIP negotiations are currently paused until the end of the month, but that does not mean that all activity has stopped. By an interesting coincidence, the other major EU trade agreement – that with Canada, generally known as CETA, and intimately linked with TTIP in many ways – seems to have been “concluded”, although quite what that means is not yet clear. The mother of Swedish Pirate Bay co-founder Gottfrid Svartholm Warg has told The Local about her son’s “suffering” in jail ahead of the final stages of his trial. We’ve been manufacturing without a license in our homes for 30 years now. It’s about to go physical. Maybe that will wake legislators up to the bigger picture. If not, we’re in for something much worse. Any nation that still uses the back doors which are Microsoft software ought to wake up and make immediate changes. Russia and China are already making rapid changes. Korea (South Korea to be precise) is following suit. But that’s old news. Microsoft is abandoning operating systems in a way that compromises security in very mission-critical operations. Clients get abandoned and they are helpless. They cannot even access source code, so messy patches at binary level is all they have left. Windows is a total mess. A lot of those involved in developing it have left and it truly shows. Just look what a mess recent releases of Windows have been, both when released and when patched (bricked). Over at IDG, Microsoft’s booster Preston Gralla thinks that Windows for mobile should be completely abandoned. This is quoting a Microsoft advocate who makes money from Windows: “It’s been nearly four years since Microsoft first released Windows Phone, and what it has gotten after many millions of dollars in development and marketing costs, plus its $7.2 billion acquisition of Nokia, is this: a worldwide smartphone market share of less than 3 percent. And that number has been going down, not up. Microsoft has deleted 1500 apps which presumably are spam/fakes/malicious from its store. Surely this must only leave about 2 left? Is this BusinessKorea’s depiction of Elop and Ballmer? MICROSOFT is a big loser, but a dangerous loser nonetheless. Microsoft is above the law in many countries and it knows it. So, inevitably, Microsoft acts like it always has and it resorts to criminal activities in an attempt to destroy the competition. It’s just the same old Microsoft, acting like a spoiled brat and a bully. The local electronics industry is demanding stricter conditions for the approval of Microsoft’s purchase of Nokia by the Korea Fair Trade Commission (FTC). The demand is attributable to the fact that those conditions will inevitably have a huge influence on the industry. Remember that the criminals from Microsoft (crimes like racketeering and conspiracy to extort from multiple directions, patent-stacking, etc.) recently sued the increasingly-confused Samsung, which became a litigation/extortion target of Nokia (e.g. via MOSAID) and Microsoft trolling. Business Korea has just published a very provocative piece that depicts a monstrous troll attacking its home country’s pride and joy, Samsung. 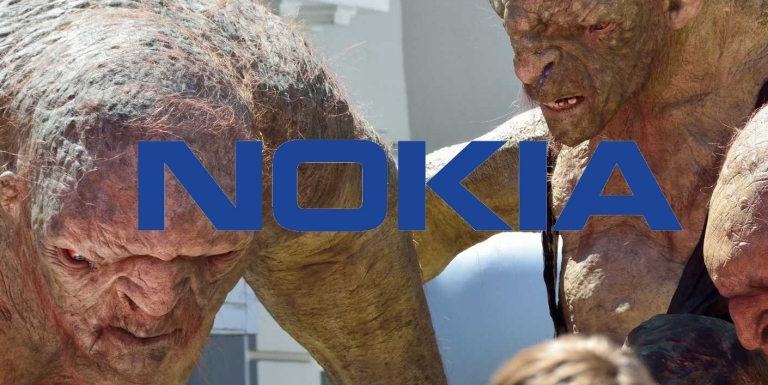 That troll, you’ll be surprised to learn, is Nokia. The reason for this is easy to understand: Samsung may be forced to pay one of the history’s biggest patent royalty sums to Nokia, and fellow Korean electronics titan LG is not scot free, either. What unleashed the beast in the Finnish company was its decision to sell its handset division to Microsoft a while back. As long as Nokia was a phone company, it was bound by a web of cross-licensing deals limiting how much it can charge for its thousands of handset-related patents. Nokia needed to use both essential and non-essential patents held by Samsung, Apple, Motorola and other industry giants, which put a rather severe cap on how much it could charge other phone vendors. Reading companies’ annual reports to the Securities and Exchange Commission is a reliable cure for insomnia. Every so often, though, there is a significant revelation in the paperwork. This year, one of the most important revelations came from Microsoft’s filings, which spotlighted how the tax code allows corporations to enjoy the benefits of American citizenship yet avoid paying U.S. taxes. According to the SEC documents, the company is sitting on almost $29.6 billion it would owe in U.S. taxes if it repatriated the $92.9 billion of earnings it is keeping offshore. That amount of money represents a significant spike from prior years. A recent article from Daniel Nazer of the EFF (cross-posted in TechDirt) reminded us that the focus at EFF these days is “bad patents” such as medical ones that are technically nonsense and usually serve to deny people treatment they may need. This is a type of patents which other than software patents we have covered here a lot of times in the past. It’s worse than anticompetitive patents. In another bit of news we find yet another defeat for software patents and a defeat for patent trolls that attack Google and are now forced to compensate Google for the trouble. “In January,” says the report, “Google won a jury trial against a so-called “patent troll” called Beneficial Innovations, which sued dozens of media companies over online ad patents. GOOGLE HAS WON $1.3m in legal fees from a notorious patent troll. Arstechnica first reported the rather convoluted story, which began in 2011 when well-known software patent litigator Beneficial Innovations sued a dozen large media companies over online ad patents that it holds. Many of the online publications owned by those media companies were simply using Google’s Doubleclick advertising technology, and Google had licensed the patents at issue. “Beneficial went back on the terms of its own licence agreement, pursuing our customers for simply using our licensed services,” said Google at the time. Google interceded on behalf of its customers and prevailed in a jury trial in January, arguing successfully that Beneficial was in breach of contract by suing over patents that Google had licensed. Google won a nominal $1 judgment plus an injunction barring Beneficial Innovations from suing additional Google customers. Now, the court has awarded Google the right to recover from Beneficial most of its legal costs for defending its customers, according to Arstechnica. US District Court judge Rodney Gilstrap ruled that Google was the prevailing party on the breach of contract issue and that the firm’s request to recover attorneys’ fees was reasonable.